NASA's Curiosity Mars rover just loves a good selfie. The car-sized explorer took time out from its busy sand scooping and sieving schedule to snap yet another self-portrait on Mars. NASA scientists used its Mars Hand Lens Imagers camera at the end of its arm to snap the shot. As the image is a composite, only part of the arm is visible. The selfie, which NASA released on Friday, is at least the third that Curiosity has beamed back to Earth since first landing on the planet on Aug. 6, 2012. 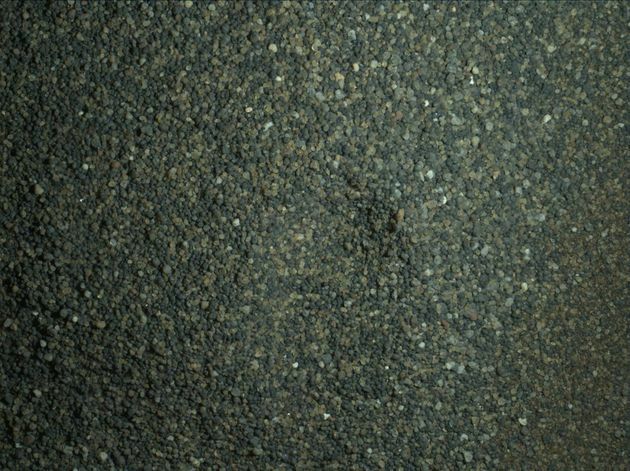 In August 2015, it sent back a 92-image composite selfie after drilling a rock nicknamed "Buckskin" in the Marias Pass area. Meanwhile, in June 2014, it snapped a self-portrait to celebrate being on Mars for exactly one full Martian year -- the equivalent of 687 Earth days. The explorer's initial mission was to "determine whether Mars once offered environmental conditions favorable for microbial life." For the last two months, it's investigated active sand dunes and how the wind moves on the Bagnold Dune Field lining the northwestern flank of the planet's Mount Sharp. "The mission's examination of active sand dunes -- the first ever studied up close other than on Earth -- is providing information about active dune processes in conditions with much less atmosphere and less gravity than on Earth," NASA revealed in a statement. "Researchers are evaluating possible sites for the next use of Curiosity's drill to collect rock-powder samples of the bedrock in the area," the space agency added.